Need a marquee for your upcoming event or party? Get a 30 Second Quote NOW! Beautiful wedding marquees to ensure your day is perfect. Choose from a range of quality accessories and decorations. Impress clients and business associates at your next outdoor event. Choose from a range of seating and table layouts. Celebrate a milestone event without the fuss. We create the party environment to suit your requirements. Check out our party deals! Planning a small party or a large special event? Tents 4 Events will transform any area that will impress your guest. With a defining style, your event will be memorable for all that attendees. We create the environments for a range of different events and functions and can tailor your marquee and party requirements to suit the type of event, giving the professional look you require. No matter if you require a Marquee hire Brisbane or Party Hire Gold Coast, Tents 4 Events will have you covered, in elegant style. Our marquees offer the advantage of a space which can be tailored for the party effect you desire, giving you the choice of size and layout of your party venue. We have marquees that can fit into the smallest of gardens or can cater to elaborate corporate events. 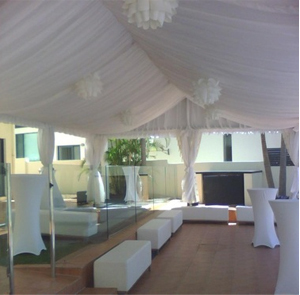 So, if you are looking for Party Hire Brisbane, Gold Coast, Sunshine Coast or surrounding areas give us a call today. Our free, no-obligation site visit means that we can measure your venue beforehand and creatively plan your marquee to maximise the space available. Your next event will be a sensation with Tents 4 Events. Call today to plan your next event.